It’s fall and winter is rapidly approaching. For many in Davis this brings to mind mildly cooler temperatures and wetter conditions (we hope). To me however, as a bird enthusiast, fall signals the influx of migratory American Crows (Corvus brachyrhynchos) and their formation of massive communal roosts. Around early to mid-October, depending on geographical location, the casual observer might notice an increase in Crow numbers and activity as Northern birds migrate southward, presumably due to changing food and weather conditions. As the sun sets throughout fall and winter, large numbers of Crows congregate in a centralized location to settle down for the night. Every night. Incredibly, these communal roosts can number in the thousands to the tens of thousands. Inevitably, the citizens of many North American urban centers come face-to-face with some of the effects of these massive murders* of American Crows. The shared experience typically involves large quantities of bird excretion and what many consider to be noise pollution (though I personally enjoy the hum of a thousand crows). 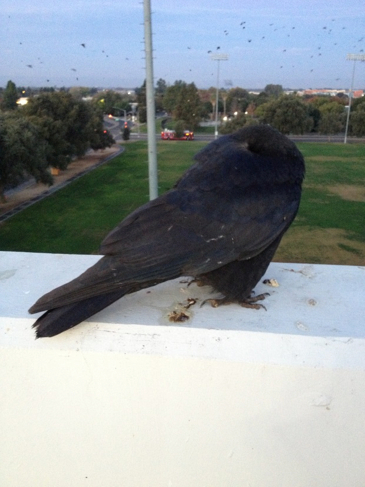 An American Crow ‘sleeping in’ a bit later than his roost-mates in the Davis roost site. The last thing that most people think of when it comes to winter is West Nile virus (WNV for short). This is because the vectors responsible for transmission, mosquitoes of the genus Culex, become largely inactive in the cooler winter months. The continuation of the transmission cycle is driven by blood-feeding interactions between bird hosts and mosquito vectors (though humans can contract the virus, they are considered dead end hosts and do not contribute to the cycle). On multiple occasions, however, researchers have documented winter cases of Crow mortalities in which carcasses test positive for WNV. Interestingly, American Crows have become somewhat well known for their incredible susceptibility to the emerging infectious agent. They are so sensitive, in fact, that nearly every Crow that comes down with the virus in a contained laboratory setting displays clinical signs within a period of days and rapidly declines in health leading to mortality. This brings to mind an important question: if Crows succumb so quickly to the disease, how can WNV show up among Crows in the winter when mosquito vectors are more or less inactive? One possible explanation for this is that Crows may be capable of transmitting WNV to each other directly. Dense communal roosts presumably have some benefits (reduction in likelihood of predation or temperature regulation), but one of the costs associated with group formation is also the possibility of increased risk of disease transmission. As the white-spot on the crown of this Crow’s head suggests, one of the costs of communal roosting is that you might become a target for the droppings of roost-mates. This might be a mechanism for disease transmission within the roost. Unfortunately, researchers have yet to find direct, convincing evidence that bird-to-bird transmission is responsible for maintenance of the virus throughout the winter in wild populations. Furthermore, it seems that dead Crows that have WNV in the winter might have lower levels of virus than those found in the summer when WNV activity is at its peak. An alternative possibility is that at least some Crows, contrary to laboratory-based evidence, might be capable of mounting an effective immune response and surviving the initial infection period. If this does occur, and some Crows might be able to survive longer periods with low levels of viral infection, than this might explain detection of WNV among Crow carcasses in the winter when poor weather conditions and food availability or incidental infection with other diseases might drive the bulk of observed mortalities. This is still a question that requires further research, but whatever the case may be, it is important that we understand the role that large communal Crow roosts might play in the continuation of the WNV transmission cycle when winter transitions into spring and mosquito activity increases. Improving our understanding of these disease dynamics will help us to potentially develop management practices that might reduce the risk of infection among humans in the summer. But not to worry, few, if any cases, of WNV among humans are reported during the winter when the Crow roost densities are at their highest. *A group of crows is called a ‘murder’. Note: The first two pictures are my own (taken with my terrible phone camera). The second picture is courtesy of Melissa Jones and I am posting this with her permission. All of these pictures were taken in Davis, CA. Beauchamp, G. 1999. The evolution of communal roosting in birds: origin and secondary losses. Behavioral Ecology 10:675-687. Dawson, J.R., W.B. Stone, G.D. Ebel, D.S. Young, D.S. Galinski, J.P. Pensabene, M.A. Franke, M. Eidson, and L.D. Kramer. 2007. Crow deaths caused by West Nile virus during winter. Emerg. Infect. Dis. 13:1912-1914. Hinton, M.G., W.K. Reisen, S.S. Wheeler, and A.K. Townsend. 2015. West Nile virus activity in a winter roost of American Crows (Corvus brachyrhynchos): Is bird-to-bird transmission important in persistence and amplification? Journal of Medical Entomology 52:683-692. Komar, N., S. Langevin, S. Hinten, N. Nemeth, E. Edwards, D. Hettler, B. Davis, R. Bowen, and M. Bunning. 2003b. Experimental infection of North American birds with the New York 1999 strain of West Nile virus. Emerg. Infect. Dis. 9:311-322. Marra, P.P., S. Griffing, C. Caffrey, A.M. Kilpatrick, and R. McLean. 2004. West nile virus and wildlife. BioScience 54:393-402. Marzluff, J.M., K.J. McGowan, R. Donnelly, and R.L. Knight. 2001. Causes and consequences of expanding American Crow populations, pp. 331-363. In J.M. Marzluff, R. Bowman, and R. Donelly (eds. ), Avian ecology and conservation in an urbanizing world. Kluwer Academic Press, Norwell, MA. Molaei, G., and T.G. Andreadis. 2006. Identification of avian- and mammalian-derived bloodmeals in Aedes vexans and Culiseta melanura (Diptera: Culicidae) and its implication for west nile virus transmission in Connecticut, U.S.A. Journal of Medical Entomology 43:1088-1093. Nelms, B.M., P.A. Macedo, L. Kothera, H.M. Savage, and W.K. Reisen. 2013. Overwintering biology of Culex (Diptera: Culicidae) mosquitoes in the Sacramento Valley of California. J. Med. Entomol. 50:773-790. Nemeth, N.M., B.V. Thomsen, T.R. Spraker, J.M. Benson, A.M. Bosco-Lauth, P.T. Oesterle, J.M. Bright, J.P. Muth, T.W. Campbell, T.L. Gidlewski, and R.A. Bowen. 2011. 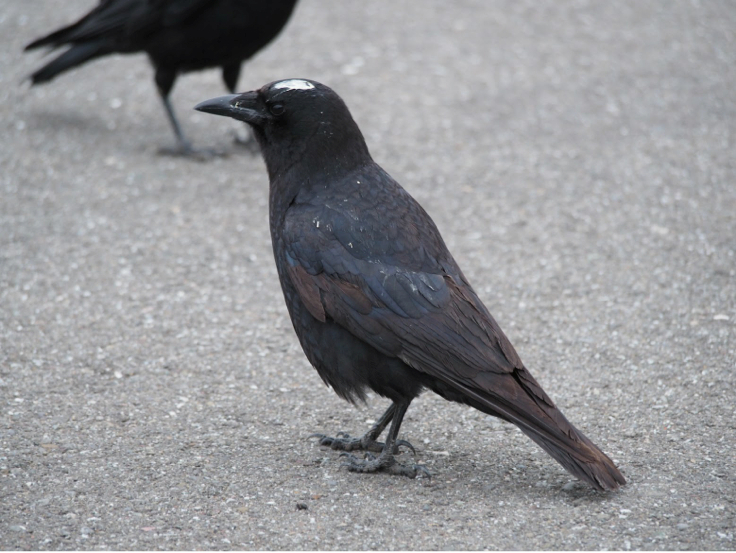 Clinical and pathologic responses of American crows (Corvus brachyrhynchos) and fish crows (C ossifragus) to experimental West Nile virus infection. Vet. Pathol. 48:1061-1074. Reisen, W.K., C.M. Barker, R. Carney, H.D. Lothrop, S.S. Wheeler, J.L. Wilson, M.B. Madon, R. Takahashi, B. Carroll, S. Garcia, Y. Fang, M. Shafh, N. Kahl, S. Ashtari, V. Kramer, C. Glasher, and C. Jean. 2006b. 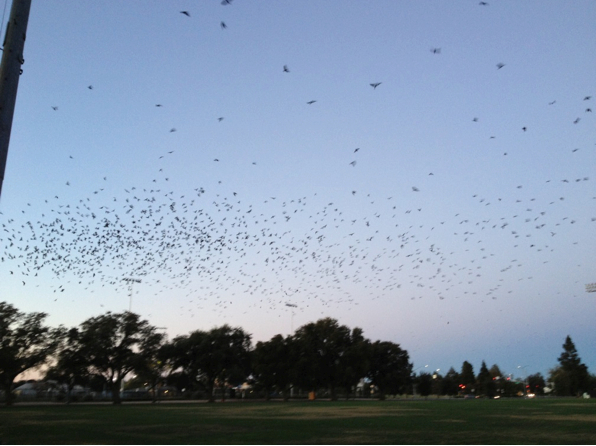 Role of corvids in epidemiology of West Nile virus in southern California. J. Med. Entomol. 43:356-367. Weingartl, H.M., J.L. Neufeld, J. Copps, and P.M. Arszal. 2004. Experimental West Nile virus infection in Blue Jays (Cyanocitta cristata) and Crows (Corvus brachyrchynchos). Veterinary Pathology 41:362-370. Mitch Hinton is an Animal Behavior PhD student at the University of California Davis.